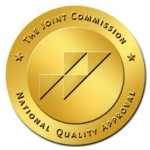 In November 2017, United Regional earned The Joint Commission’s Gold Seal of Approval® for Advanced Certification for Total Hip and Total Knee Replacement. Patients in need of joint replacements can come to United Regional with confidence that they will receive a standard of care that meets rigorous standards for quality. You don’t have to live with severe joint pain and the limitations it creates in your life. In fact, there are many treatment options available at United Regional for this condition. And for those who don’t experience adequate relief with medication and other non-surgical treatments such as physical therapy or injections, joint replacement surgery can reduce your pain and increase joint function, helping you to return to the activities you once enjoyed. 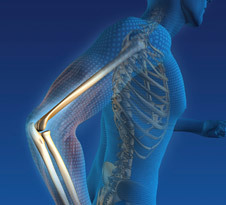 Just as a GPS can guide a driver to a precise location, the computer-assisted navigation system helps orthopedic surgeons more accurately align implants and proper ligament balancing, which are essential for the artificial hip joint and knee joint stability, durability and sufficient range of motion. 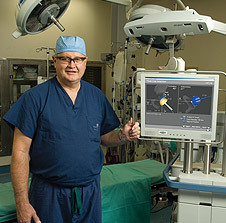 The navigation system uses an infrared camera and instruments along with unique tracking software to continually monitor the position and alignment of the implant components in relation to the patient’s anatomy. The computer analyzes and displays data on a monitor which shows the angles, lines and measurements needed to more accurately align the prosthetic joint with the patient.